When visiting Goa, India, you will certainly end up touring the state and taxi drivers will take you to a spice garden Goa. 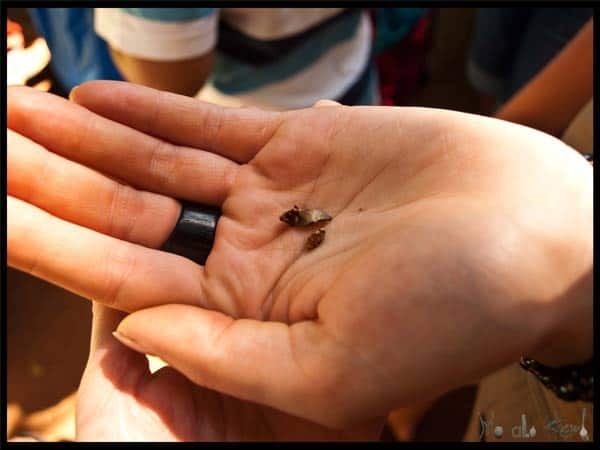 The visit to a spice garden is for all those who enjoy learning something new and for those who like to learn about the food, culture, and history of a place. 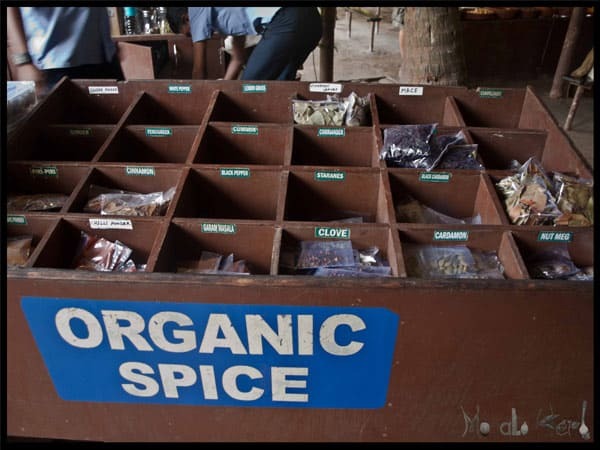 A while back I had the chance to visit the spice garden Goa in the sunny Indian coastline state. Goa has a rich history, with Vasco Da Gama, the famous discoverer of the Renaissance has been to Goa in his lifetime and with the establishment of the spice route through the former Portuguese colony, Goa. I remember in my second year of secondary school a history lesson about the early sea travels and trades. You surely know some famous discoverer such as Christoph Columbus, Ferdinand Magellan, Amerigo Vespucci and Vasco da Gama. 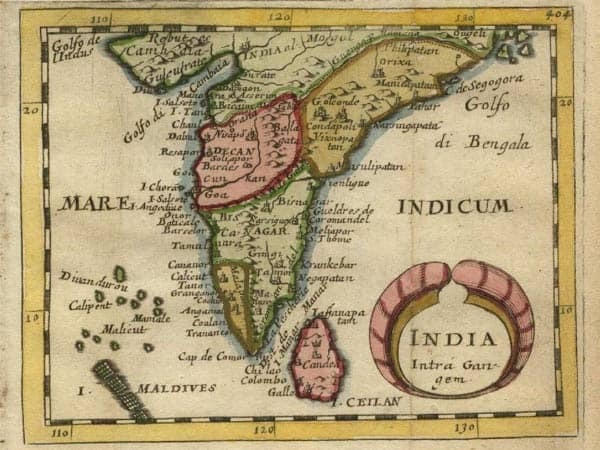 The later had traveled on behest of the Portuguese king to Calicut in 1498 and later on to Cochin and Goa, which they called Golden Goa. I was so mesmerized as a kid by the discoveries of our fore fathers. These must have been exciting times. Anyways, the Portuguese’s aim at the time was to establish a spice trading route, to gain the overhand of this wanton market in Europe. Those were great important times in Europe, with great kings governing their lands, this was the time of Renaissance – The rebirth. 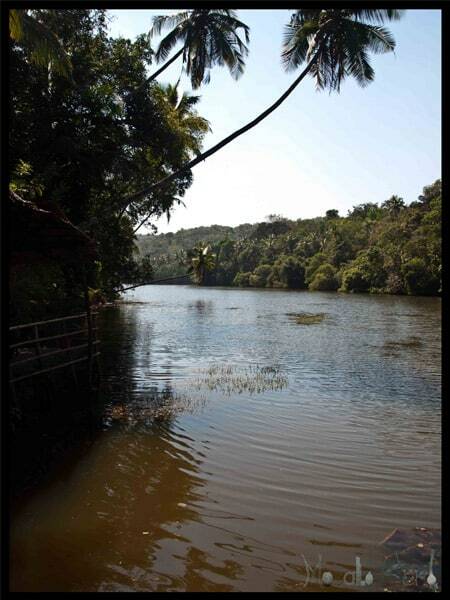 You have the choice to visit several different spice plantations in Central Goa – Ponda. We had visited one of the major Spice Plantations. 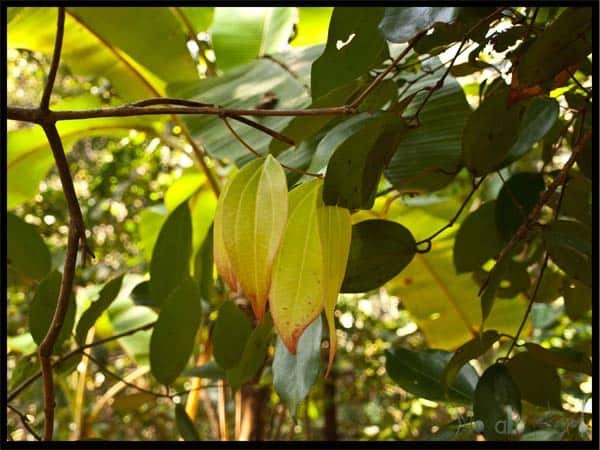 Certain particular plantations are surrounded by lakes & rivers and are situated in the jungle. The entry for visitors is somewhere around 500 INR (~7€) with food buffet included and they even provide a separate option where visitors can bath an elephant. 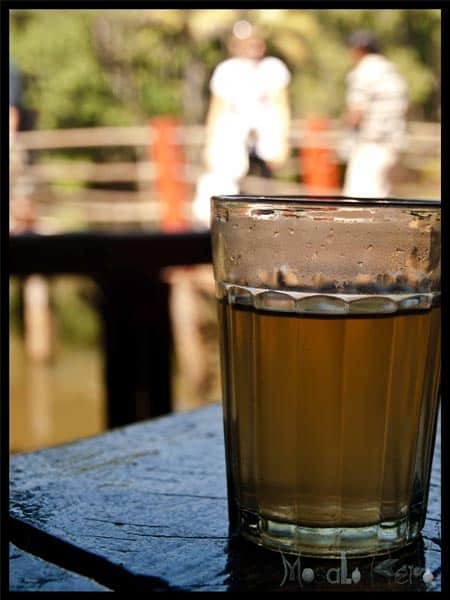 To reach the spice garden Goa you just need to grab a taxi and the taxi driver ll be happy to take you there. Every visitor receives a homemade aromatic lemongrass ginger tea as welcoming drink before the tour starts. The Guides are quite friendly and they can answer basic questions about spices. It depends on the guide and his/her experience in the spice field. 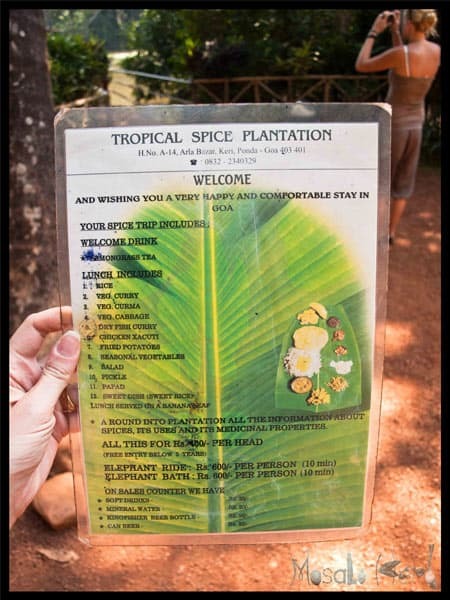 Once you are ready to go, you just need to join a group with a guide to start the spice garden tour. The guide explains and teaches you how to make an Indian Aphrodisiac with spices. Have you heard of Piri Piri? Fresh from the tree, scraped & aromatic Nutmeg. food served in the spice garden Goa has very basic flavors and isn’t too much spiced, however, it’s not Goan Portuguese food but rather Maharashtra Konkani food. The place is well situated and your kind of place if you are with your family and friends. A must see for anyone who visits Goa and who likes to learn about food and culture of the region. Thanks for sharing your spice tour! Beautiful photos and the video was so great! 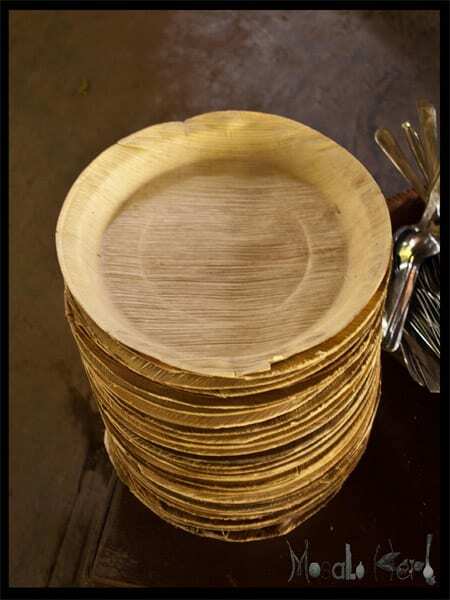 I really enjoyed it and seeing how the bidi is made reminded me of my college days- ha! Also, interesting fact that cinnamon and bay leaves are from the same tree! Who knew? Your posts never fail to lift me to places I have never been before in a language I can understand! I am so glad you encouraged your visitors to visit the Spice Garden. How many times in ones life do you get to stroll among the herbs and spices. I can only imagine the whiffs of aroma. I felt like I was right there reading this! What a treat:) My parents spent 18 months in India recently, and my Dad loves the food and spices like I do. Now back at home, he believes that all of their spices were healing his high blood pressure, because it was much lower there. He tries to add them to his food, but my Mom really hates the spices…it's funny. Thank you for a lovely post, and thanks for linking up your post on our Fitness link up! Awesome photos, you are so blessed to live in such a beautiful place. Goa is definitely on my bucket list! Thanks so much for this tour through the spice garden! It's so gorgeous. Definitely a place I want to visit in real life someday. Helene, this is such a fascinating post! First, I do want to say that we always gave our sons books and films on "dead things" – ancient Egypt, archeological and history books and documentaries, the discovery of everything and they also turned out really loving history! And my husband and I would love to take a year off and "discover" the world, just go around the world on a huge adventure but you are right, one needs money or a sponsor. But now that I have traveled on this Spice Garden adventure with you I know I must come to India! Wonderful! Hi Helene, thanks for sharing all the beautiful pictures. Looks like it's a fun visit to the spice farm, glad that you enjoy the trip. Have a nice day. Hi Helene! Amazing. It's kind of sad to say that all the spices I know are all in jars or some kind of packages…maybe besides some herbs. The rest of spices, oh well, I have to admit I have no idea about the source… This must be VERY educational tour. And thanks for sharing it with us and educate us!! @Frieda what did u do in your college days? lol I am glad that u enjoyed it. Its good to share knowledge with friends. @Courtney the fact is that spices realy lower the blood levels and they clean the body. u get smoother healthy skin, hair grows thicker, pimples and all go, moskitos bite u less,… there r aa million reasons why one should eat spices. Thats why indians are so healthy. I used to not like spices either. It realy depends on the mixture of spices u use while cooking. Since I have discovered spicy food for me, I can feel my health reaching its peak. Your mum might like Punjabi or goan food to get into indian food. @Kiran thank u dear wish u the same. I have never been to bangalore but I have heard so much of this city, I realy want to have a chance to get to see it in the near future. when we had the lunch, it was spicy. we were very few people except for one foreign couple family. 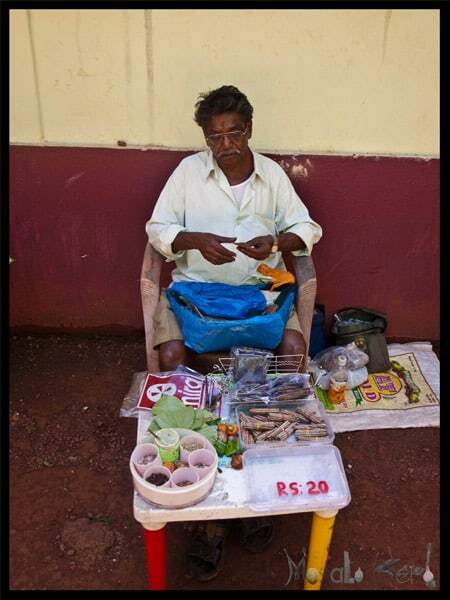 plus there was no one selling paan or bidi… but it was a nice visit and so much learn to about the spices and their benefits. it seems you had a great time there. Was it the same Spice garden Dassana, because apparently there are a couple ones in the area and more are coming new every year. 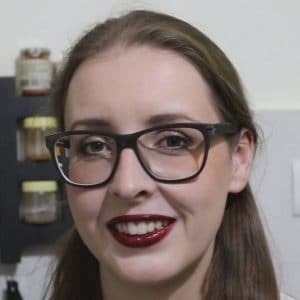 I loved it as well, its so informative and for me spices and herbs are very essential while cooking and even to treat minor health conditions. Hello, we shall be visiting Goa next March and feel a few outings instead of just lying on the beach for 3 weeks would be a good idea. We are staying in Sinquerim. Which would be the best way to get to this Spice Plantation, and how long would it take? What a wonderful post. It makes me want to jump on a plane right now. Oh, I’d love to tour the Spice Garden, too! And so fun that you had your sweet sister join you! What a wonderful tour! Thanks for sharing this. Since I am also a fan of spices, I’d really like to see this place one day. Looking forward to the newsletter. I just discovered you. I can’t wait to learn more about spices, especially those that I can use with vegetables. =) Just a heads up, I am planning to post more veg dishes with spices in Jan. There will be surely something for you. Cheers! I am sorry but you might have misunderstood. 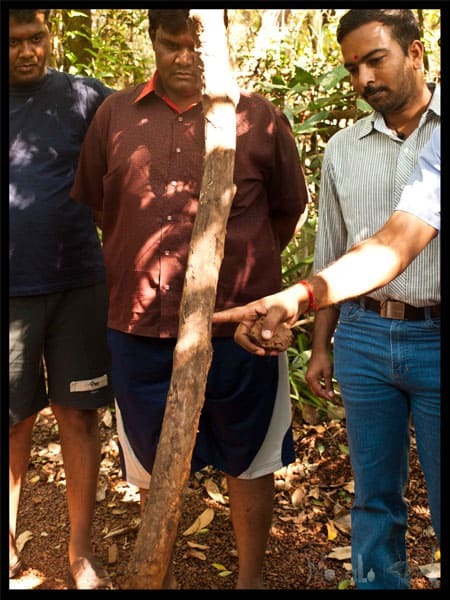 I am not associated in any way with the spice gardens in Goa. 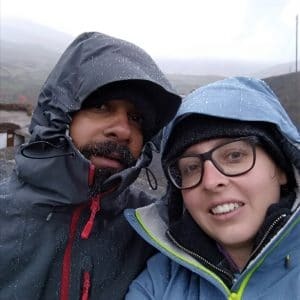 I just wrote about one spice garden trip, that; s it. Sorry again. Thank you for that very in-depth tour, it is very helpful to anyone wanting to travel to Goa. I would love to visit a Spice Garden like this, it’s so helpful to see the spices in their original state. The food looks quite interesting, was it tasty? Thanks so much for sharing this experience! I would love to be able to visit these gardens and experiences all of those awesome spices. I still want to visit this place and Goa in general. 🙂 The photos I’ve seen look so inviting. I had recently visited this spice garden and purchased cade oil and neem oil for eczema, but procedure to use it is written in some language other than English. Kindly guide as to how use these oils for eczema. One of the worst food served by this garden. I suggest no body travel to this place. Hi Peeyush, I think so most of the spice gardens there serve poorly flavored food. It’s more plain and bland (ironically in a spice garden). This might be to accommodate the taste preference of all the visitors from around the world. 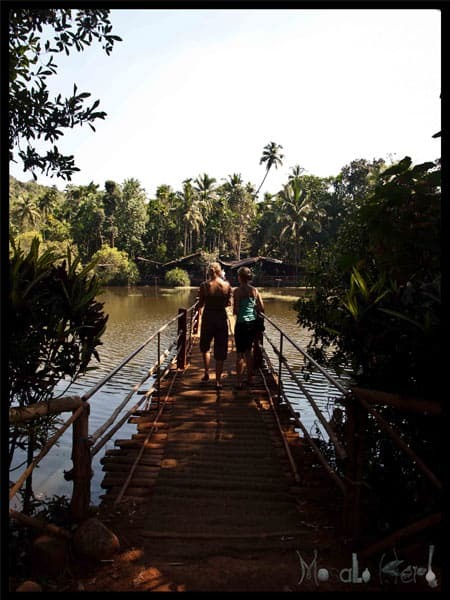 Hi, this may be interesting you: Spice Garden Goa - Spice Plantation & Farm in India!